The Samsung Space Monitor is designed to let you reclaim your work space. Find compatible products with our finders. Computer Monitors. Orchestrated by CDW. When it comes to computer monitors, bigger is usually better. Today's LCD monitors offer features and benefits that are leaps and bounds beyond the offerings of old CRT monitors — you can now opt for touchscreen monitors, for example. LCDs also take up less desk space, are easier to move, and consume much less power. Shop CDW for a wide selection of brands, from HP monitors to Acer monitors, and discover the benefits of a modern display. 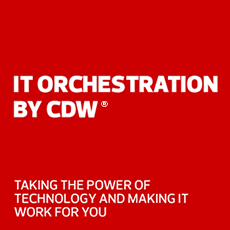 Speak with a CDW computer monitors expert for additional assistance.